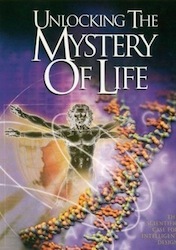 Stephen C. Meyer received his Ph.D. in the History and Philosophy of Science from the University of Cambridge in 1991 for a dissertation on origin-of-life biology and the methodology of the historical sciences. 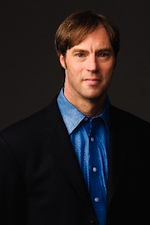 Formerly a geophysicist with the Atlantic Richfield Company, he is currently Director of the Center for Renewal of Science and Culture at Discovery Institute and an Associate Professor of Philosophy at Whitworth College. He is a past recipient of a Rotary International Scholarship, the American Friends of Cambridge scholarship (administered by the Cambridge Commonwealth Trust) and a Templeton Foundation science-religion teaching grant. 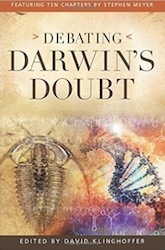 He has contributed articles to several scholarly books and anthologies including The History of Science and Religion in the Western Tradition: An Encyclopedia, Darwinism: Science or Philosophy, Of Pandas and People: The Central Question of Biological Origins, The Creation Hypothesis: Scientific Evidence for An Intelligent Designer and Facets of Faith and Science: Interpreting God's Action in the World. In addition to technical articles on the philosophy of science, he has published many editorial features in newspapers and magazines such as The Wall Street Journal, The Los Angeles Times, The Chicago Tribune and National Review. He has also recently appeared as a guest on several national television programs including PBS's Freedom Speaks and TechnoPolitics, and CNBC's Hardball with Chris Matthews. 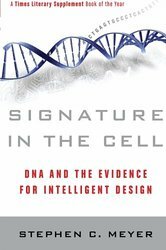 He is currently working on a book formulating a scientific theory of biological design, which looks specifically at the evidence for design in the encoded information in DNA. From Whitworth College, Whitworth Today Winter 1995. Reprinted from Of Pandas and People (Richardson, TX: Foundation for Thought & Ethics, 1993). Article from First Things 102, April 1, 2000. The demand that epistemic support be explicated as rational compulsion has consistently undermined the dialogue between theology and science. Rational compulsion entails too restrictive a form of epistemic support for most scientific theorizing, let alone interdisciplinary dialogue. This essay presents a less restrictive form of epistemic support, explicated not as rational compulsion but as explanatory power. Co-authored with William Dembski. 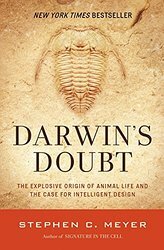 Review of The Battle of Beginnings: Why Neither Side is Winning the Creation-Evolution Debate, from Origins & Design 17:2. 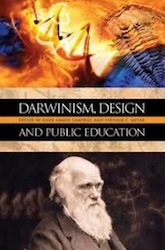 Reprinted from Darwinism: Science or Philosophy? 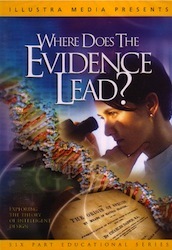 Edited by Jon Buell and Virginia Hearn (Richardson, TX: Foundation for Thought & Ethics, 1994). Reprinted from The Intercollegiate Review 31, no. 2 (spring 1996). Reprinted from Eternity, May 1986.
from Origins Research Archives 15, no. 2. Reprinted from the Journal of the American Scientific Affiliation. Trends in Ecology and Evolution, February 1, 2004. Teaching the Origins Controversy: Science, Or Religion, Or Speech? from Cosmic Pursuit, Fall 1997. The Methodological Equivalence of Design & Descent: Can There be a Scientific "Theory of Creation? Reprinted from The Creation Hypothesis. Written with Charles Thaxton. Reprinted from Eternity magazine. 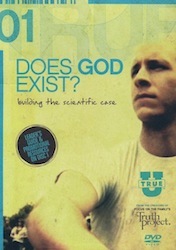 Reprinted from Perspectives on Science and Christian Faith. Verdict on the Bacterial Flagellum Premature: A Response to Begley's "Evolution Critics"
Reprinted from The Wall Street Journal, February 19, 2004. US Commission on Civil Rights conference. Reprinted from The Washington Times. Reprinted from Tacoma News Tribune. Houston Chronicle, September 19, 2003. Human Rights: Blessed by God or Begrudged by Government? Reprinted from the Los Angeles Times. Reprinted from The Chicago Tribune.